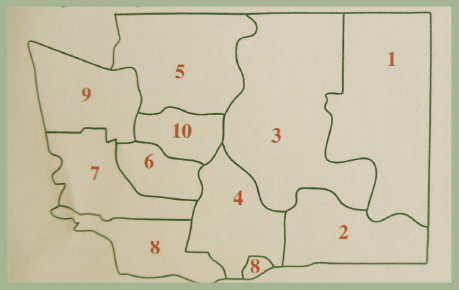 WSTA is divided into 10 regions, which for the most part align with the ESD. There is a little 'fuzziness' in the borders around the Seattle/Sound area. Using either your school (Preferred) or Home (up to you) Zipcode, you can look up your region below. If you want to be in a different region, just pick it and let your representative know.